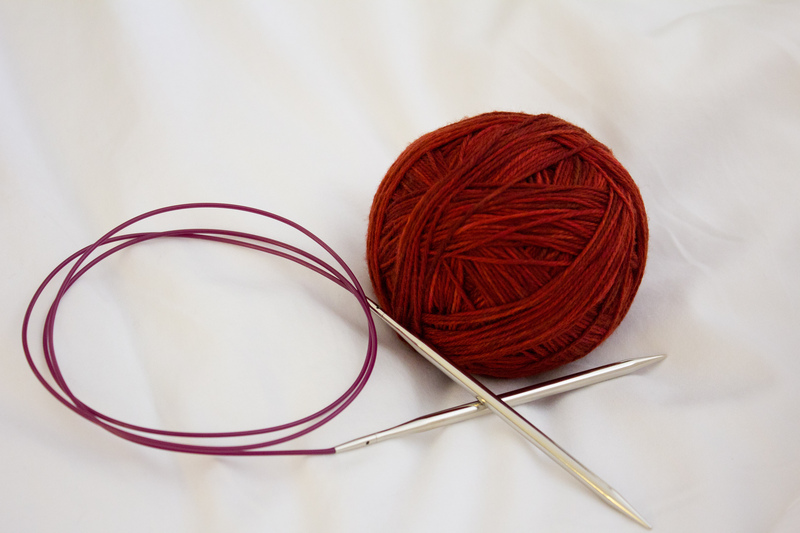 Signing up to knit a new design is exciting on so many levels. Most of the time you get to choose yarn from your stash to knit the design, which is a big yay for stashdown. But the one thing I like the most about test knits is the opportunity to knit a pattern before everyone else. That sense of secrecy and exclusivity makes me drunk with power….mwahahahaha!, erm, feel rather good. And it’s that point that I give thanks to Carrie Sullivan aka Irishgirlieknits for the wonderful opportunity of test-knitting her designs. It’s not difficult to drop whatever I am working on and cast on a new IGK design. Working with Carrie is a delight. I hardly ever have any changes to suggest as she thinks of everything from the point of view of the knitter. I suppose being a knitter first and foremost has given her that “two sides of a coin” outlook when she designs. Carrie, thanks again so much and I look forward to more, new exciting designs from you. 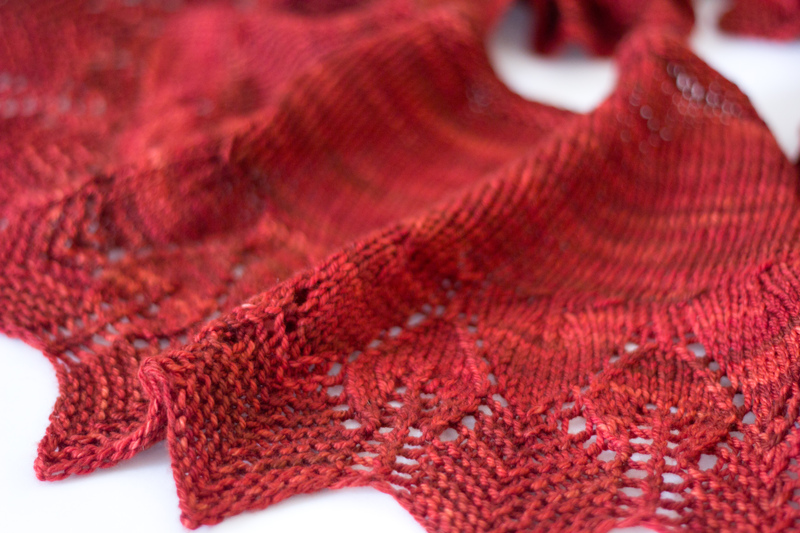 The latest design I test-knitted is her Holbrook Shawl. Done in a matter of days in squooshy Bugga, this project was every bit fun! A couple snags, from my part and not because of the design, meant I had to re-think my bind off. Otherwise, it’s straightforward and quick. 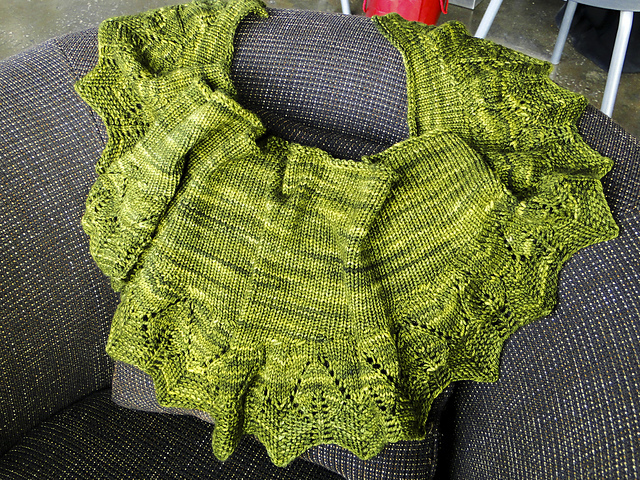 The finished shawl is a nice size and sits well on my shoulders. Or I can scrunch it up and wear it as a scarf. 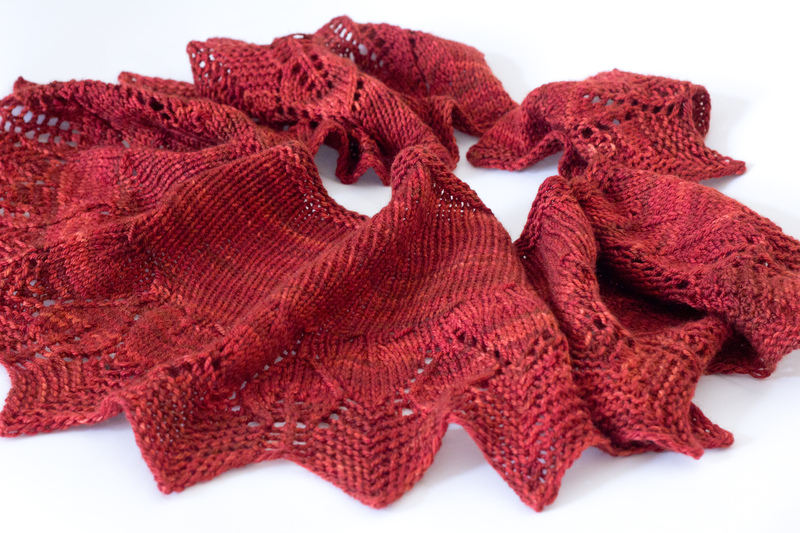 Recently, in the Irish Girlie Knits Designs group on Ravelry, we had a Spring Knit-Along and it was all about shawls/scarves/cowls, designed by Carrie of course. I decided to knit a second Holbrook with this skein of Bugga which had been eyeballing me from my stash. A holiday weekend in the UAE gave me the opportunity to start this new shawl. Knowing that it is a quick knit, I was so sure I would beat the deadline and be able to show off a finished and blocked shawl to the group. My opthalmologist would disagree and insist I see him for a check-up because I missed the deadline! 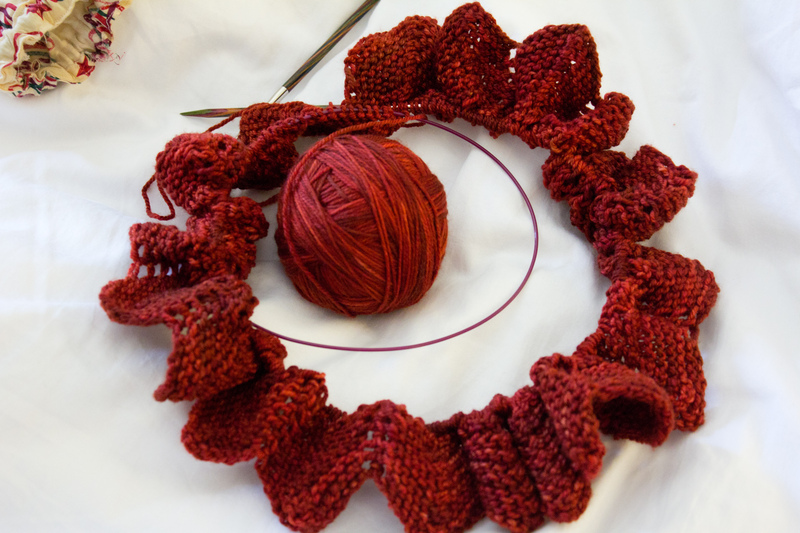 I thought it was the end of June when in fact it was the 15th – right when I was starting to knit the shawl. But my reward is this beautiful new shawl, so no worries really. We just won’t talk about the brain fart that occured on Row 15 of the lace chart. Nope, that’s forgotten? What are you talking about? Brain fart? Haha! I love this shawl. I love knitting it so much. So easy, so quick. The cast on is a bit daunting but once you start knitting it just flows so smoothly. 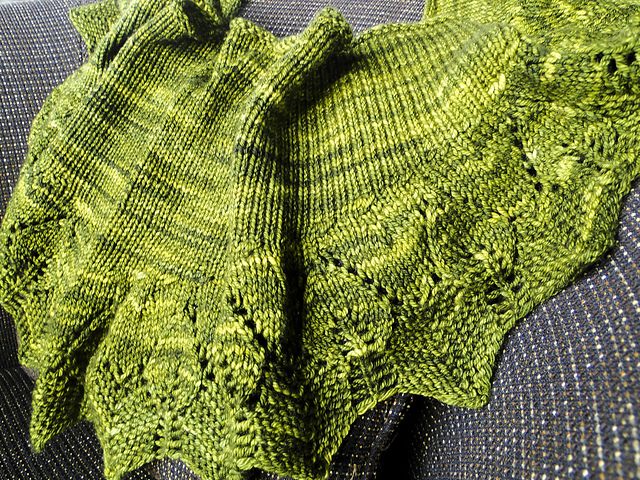 One minor change in this version is the 6-row garter stitch border before binding off. 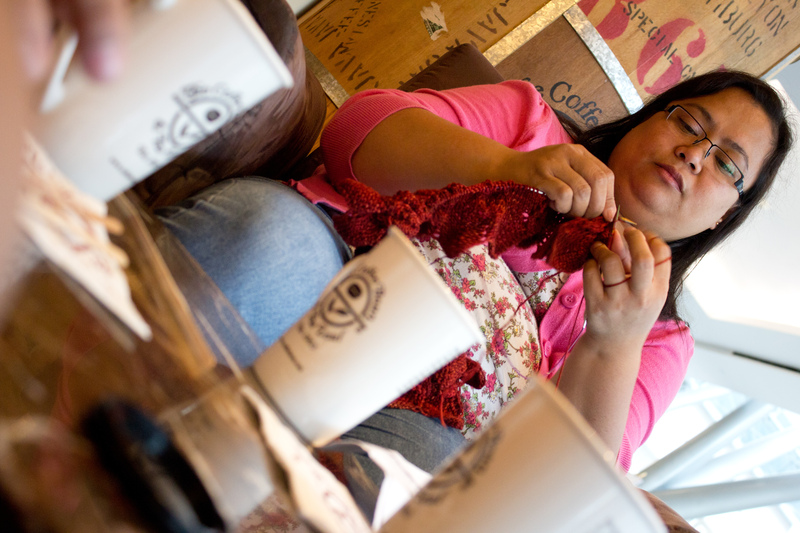 I missed our Knit in Public Day event but I did knit in public when we got back to Dubai! Trust my husband to take “artsy” shots when he gets hold of the camera! Yarn: The Sanguine Gryphon Bugga!